The Mark-III is a single squeegee head featuring manually adjustable pressure control, flood height, squeegee leveling, and downstop. The Mark III Print Head is a uniquely engineered, well-crafted head that was designed specifically to enhance the performance of the HMI precision screen printer. The individually controlled, manually set adjustments ensure dependable print results. The Mark III Print Head is an adaptable and economic choice for a variety of print applications. A patented, time tested industry standard. The Mark III has been improved over its thirty plus year history and continues to be the stock print head on all HMI model precision screen printers. The heart of the Mark III Print Head is the torsion bar squeegee pressure component of its construction. Similar to the suspension in an automobile, the Mark III head has a torsion bar which is constructed of a material with a consistent spring constant. A linear displacement applied to one end of the torsion bar results in a repeatable pressure at the other end of torsion bar. 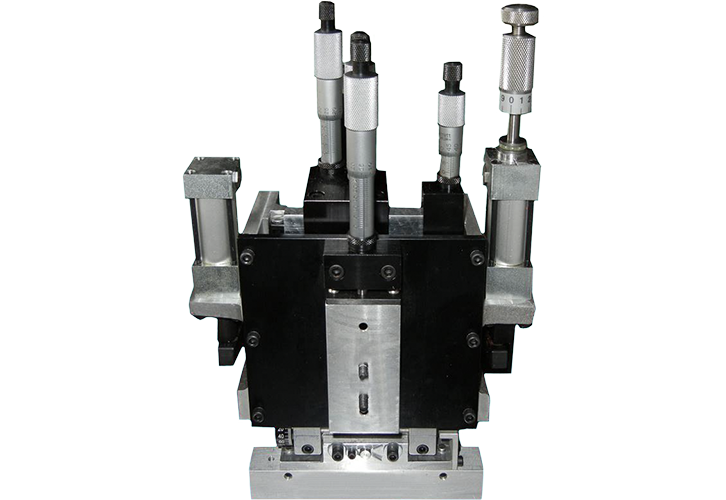 An even pressure is applied to the print as the torsion bar seeks to correct any change in print pressure resistance or thickness variation. Manually adjusted controls to set squeegee pressure and down-stop, squeegee level and print dive speed, as well as, flood dive speed and the squeegee angle of attack, on the Mark III make it a hands-on easy to use and easy to understand tool for ensuring proper print performance. All setup controls have incremental readouts and locks to ensure repeatable and secure maintenance of the settings. Print stroke end points and lift points are set through the printer. The printer also has the ability to assign print and flood strokes to the print head. The squeegee can be used to flood the screen using the appropriate printer cycle. The Mark III has a separate flood dive cylinder that can be set to a different height than the print dive cylinder. This ensures individual control of the squeegee whether it is being used to flood or to print. The Mark III head comes standard with an adjustable metal flood blade, should the process require it.